Say hello to the fan favorites. 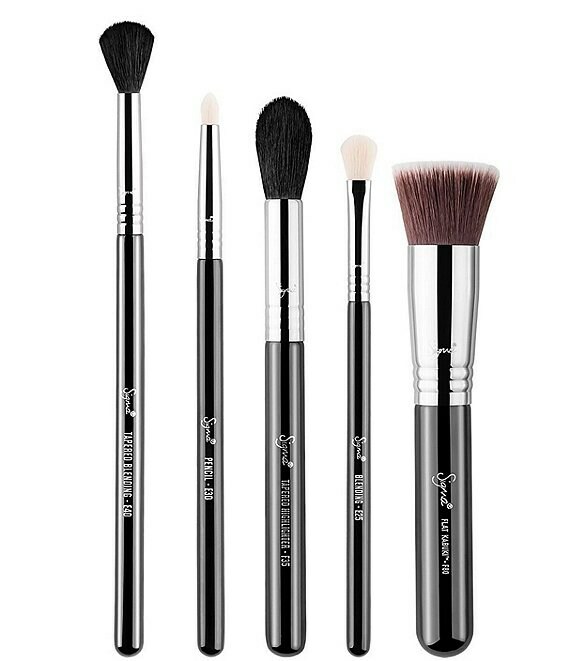 The Most-Wanted Brush Set includes Sigma's 5 top-selling brushes chosen by your fellow beauty lovers. Brush your way to beautiful with the hottest tools in the industry. E30 - Pencil: Soften and smoke out lines. Soften pencil liners along the top and bottom lash lines, add shadow to line the eyes, or use to highlight the inner corners of eyes. F80 - Flat Kabuki: Application of liquid or cream products to flat areas of the face, such as the forehead and cheeks.